We have space for 20 Craft Breweries serving between 2-4 of their best beers. Limited brewer registration space is still available. We will update the website as new breweries add onto the Beer Festival. Click here to see their beers! An award-winning craft brewery nestled in the heart of the Fraser Valley, Dead Frog's focus is on creating innovative, premium quality beers. We show our passion for beer variety by brewing both traditional and creative styles in a genuine and inclusive community atmosphere; sharing knowledge and growing empowered employees to be ultimately successful in... BEER FOR THE PEOPLE. As Penticton’s newest craft brewery, Highway 97 Brewing Company, features an open concept boutique warehouse style brewery and taproom. The comfortable seating in the taproom, where they serve fresh, small batch hand-crafted ales and lagers is open to and overlooks the brewery floor below. Witness a brew in action while you enjoy locally-made meat pies and samosas or gourmet sandwiches and some fantastic fresh beer. Or enjoy the sunny patio with a tasting flight or pint of beer, a wine or cider. This is quickly becoming a must-stop while visiting the Okanagan. The first microbrewery in Maple Ridge. Serving craft beer since 2015. Mariner Brewing is Coquitlam's first and only craft brewery. We are driven by exploration. Creating beers ranging from eclectic to class by merging tradition and new-school styles. Established in 2002, Mill Street Brewery connects Canada’s proud brewing heritage with today’s innovative craft beer scene. Led by its celebrated certified-Organic lineup, Mill Street’s portfolio took home 6 medals at the 2018 World Beer Awards. You’ll find Mill Street beer at our partners throughout BC. Local, Port Moody Craft Brewery since 2014. Focus on community, customer service and, of course, amazing craft beer. Old Abbey Ales believes in all things local! From local hops, to local grain, to local fruit. Old Abbey Ales produce a vast selection of skillfully hand-crafted beers. At our Abbotsford tasting room and brewery, we offer the largest selection of on-tap beers around. Based out of Prince George, and established in 1957, we are the longest running brewery in the province of British Columbia. Cariboo Brewing, one of our largest brands, believes deeply in reforestation and donates towards the efforts with a goal of one million trees being planted in accordance with Cariboo products sales. Driven by thirst. Brewing up quality craft beer that inspires the enthusiast in all of us. The Parkside Brewery celebrates everything that makes us who we are: friends, nature, community, a sense of home. Whether it be gathering with loved ones for a BBQ, playing a pickup game with friends, a game of shuffleboard in the basement or relaxing on a warm summer evening ina lawn chair. After launching the brewery with a pile of credit card debit 17 years ago, Phillips has now expanded to become a craft distillery, malt works, and artisanal soda works. All while still producing a wide range of craft beers. Red Collar Brewing is a brewery located in downtown Kamloops, BC. The brewery was opened in 2014 and named after our beloved family dog Goosey who always wore a red collar. When brewing Red Racer beer, from Pils to IPA, there is no room for compromise. Brewmaster Gary Lohin uses only the best ingredients and has dedicated his career to brewing not only the best beer possible, but the beer that he wants to drink. When you take a sip of any Red Racer, it is the result of tireless work, endless dedication and the dream of finding the perfect pint! Silver Valley Brewing all starting when our brewer started home brewing with his friends in a carport on Silver Valley Road in Maple Ridge, Bc. Since then, him and his wife have turned this hobby into one of Maple Ridge's newest hot spots. We enjoy crafting rich, flavourful craft beer without the use of filters and pairing them with fantastic locally sourced food. From windstorms to daytrips to incredible sunsets at the beach, every beer we make is a tasty tribute to Stanley Park and the experiences had within it. And just like the Park, we craft each one to be an exciting break from the everyday, an experience to be explored and savoured. We are a craft brewery that is inspired by tradition and creavitity and go beyond the ordinary to celebrate that which id strange and extraordinary. The beer we make is influenced by both old-world traditions , a west-coast ingenuity, as well as seasonal ingredients. Nestled in our ultra-convenient PoCo home, just off the Mary-Hill Bypass, we're bringing you our best and brightest! Serving the Tri-cities and beyond, we welcome you to enjoy our unique, quality, craft beer. We are proud to be driving innovation in an industry that we helped pioneer in British Columbia. We brew a selection of beers that can accompany you on all your adventures. We're committed to producing fun, authentic, shareable brews. We never compromise on quality, and that is reflected in all the beers we make. Yellow Dog Brewing is a family run brewery focused on high quality, locally crafted, beer for everyone to enjoy. We love our dogs, our community, and of course great beer. ** If you are a Brewery and wish to register for the 2018 Festival, contact Stephanie Gallamore at events@tourismharrison.com. 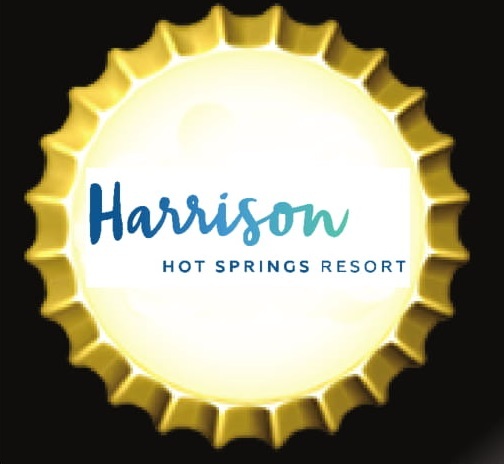 Sorry we are unable to accept any food vendors, due to our partnership with the Harrison Hot Springs Resort.